Comfort Keepers is widely recognized as a leading provider of quality in-home senior care. The company was founded in 1998 and has nearly 500 offices nationwide. Comfort Keepers uses an interactive caregiving approach to transform day-to-day caregiving into opportunities for meaningful interactions. This includes conversation and activities that engage and enrich the physical, mental, social, and emotional lives of seniors. 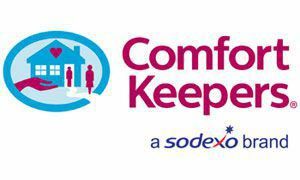 Comfort Keepers can provide companionship or personal care to residents living at home, assisted living communities, or nursing homes. Some offices offer specialized services such as memory care, postoperative care, or private duty nursing. Contact your local office in Tiffin, OH to schedule a free assessment.